Staff Sgt. Joshua Ostermann, who is the coordinator for Toys for Tots in Cincinnati, said personnel cuts and the loss of a permanent warehouse facility were two of the factors that caused him to seek help this year from the Salvation Army of Greater Cincinnati and Northern Kentucky. The two nonprofits signed a sole-source distribution agreement in August. Toys for Tots is a nonprofit, affiliated with the U.S. Marine Corps. The new distribution agreement expanded a relationship the Salvation Army had for years with Toys for Tots. Under the new arrangement, families apply for toys under a process managed by the Salvation Army, then pick up their toys two weeks before Christmas at one of two locations: The Salvation Army Toy Shop at 4020 E. Galbraith Road or the Salvation Army Community Center at 1806 Scott Blvd. in Covington. It’s not clear how many nonprofits lost access to Toys for Tots merchandise because of the new distribution agreement. Staff Sgt. Ostermann, in his first year as coordinator for the program, said he was unable to determine how many organizations received toys from his predecessors. 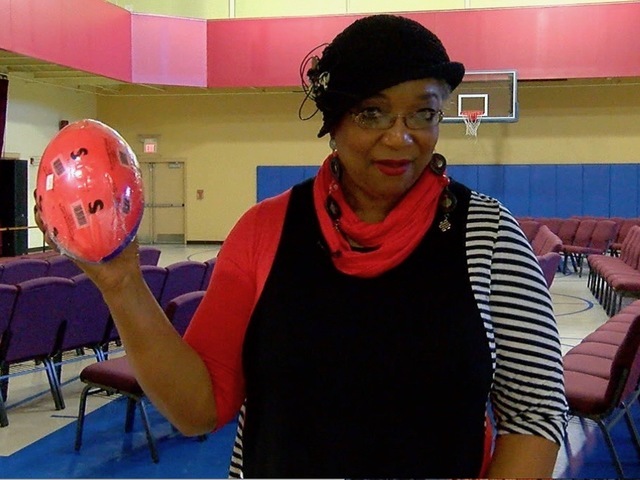 Lewis said her annual event provided toys for about 200 children last year, a number she expects to match this year thanks to last-minute donations from local businesses. The list of donors included Elliott Management Group, Kunimura Mitchell LLC and former Cincinnati Mayor Dwight Tillery. The Morning Star Missionary Baptist Church is still trying to raise money for its holiday toy giveaway, planned for Dec. 15. Pastor Jerome Clay said Toys for Tots supplied that effort for more than a decade before this year. Henry said the Salvation Army saw an increase this year in the number of families who registered for free toys, but he wasn’t sure if that increase came from families who previously got their toys from nonprofits affiliated with Toys for Tots. Staff Sgt. Ostermann said Toys for Toys is now looking to establish one or two additional distribution points to cover families who don’t live in zip codes served by Salvation Army. Southeast Indiana is one territory not served by the group, Henry said. Although the deadline has passed for families to register for toys, both Toys for Tots and the Salvation Army said any family that feels left out by the change in distribution strategies should contact them and they will try to help. The local contact page for Toys for Tots is here . Contact information for the Salvation Army Toy Shop can be found here . 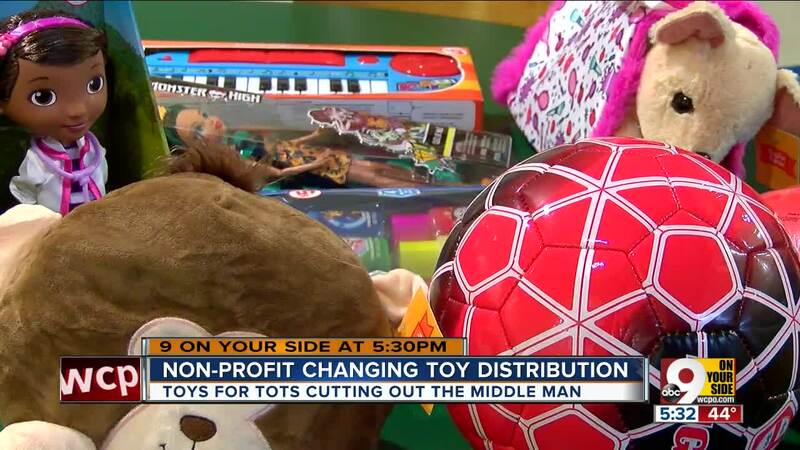 Editor's note: Toys for Tots is one of several organizations that participate in WCPO's annual toy drive, Toy Team 9. So is the Salvation Army. Volunteers will be staffing nine Kroger locations to collect toys for nine local charities on Dec. 1 between 7:30 a.m. and 1 p.m. The other local charities that Toy Team 9 collects toys for are not affiliated with either Toys for Tots or the Salvation Army.